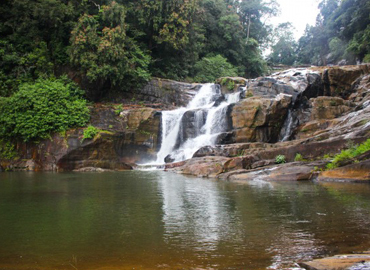 Aberdeen Falls is 98m high and is situated on the Kehelgomu Oya (river), which flows out of the Castlereagh Reservoir near Dickoya. 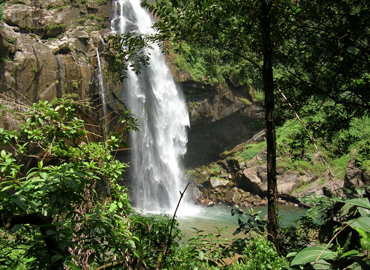 The name is derived from the former Aberdeen Estate, where the waterfall is situated. 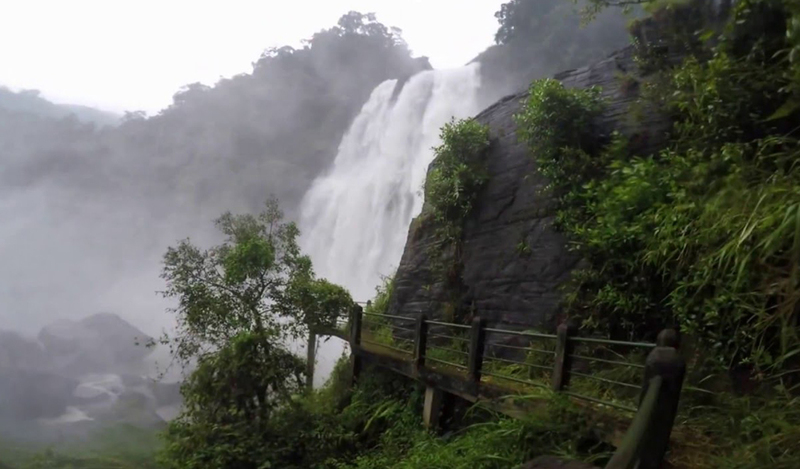 Sometimes the Aberdeen Fall gets confused with the nearby Laxapana Falls, which is also situated on the former Aberdeen Estate. 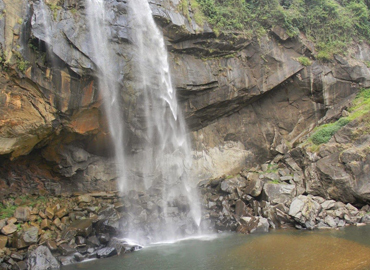 The Aberdeen Fall is notable for the three cascades that plunge past a rock wall containing caves into a large, deep pool set within big boulders.